J has had a thing for all things sticky for a while now. Be it stickers, glue or toffee. 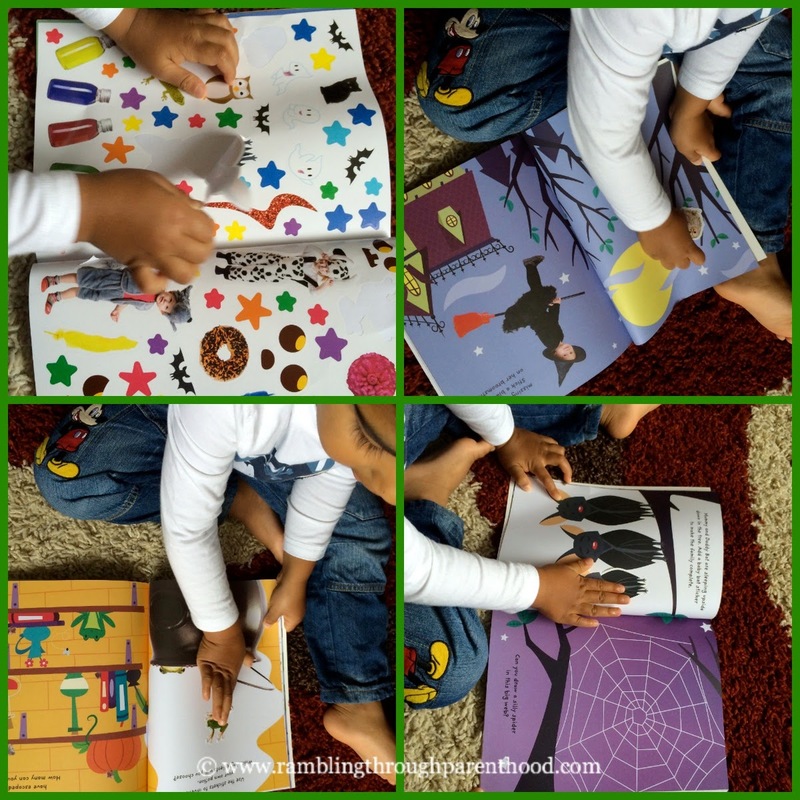 So imagine his delight when we received a copy of the Halloween Sticker Activities book by Little Tiger Press to review. 32 pages packed full of Halloween fun, it has activities and colourful stickers that had J engrossed in self-play for a good few hours. At 3 years old, he did need the occasional adult support when it came to peeling out some of the large stickers, but overall, he managed quite well on his own. The book is not just random sticking of stickers. It has an element of learning as well. Each page has a planned activity with a task designed to test problem-solving skills and develop imagination. The older ones can have a go at reading the pages themselves. J is too young for that, so that is where I stepped in. After I had explained the task to him, J was happy to go looking for the right stickers to paste on the page. Or to grab a crayon and colour in some Halloween themed scenes. From a star-studded wizard's hat to a gingerbread house covered in sweeties, J really enjoyed peeling the stickers and then thumping them in all the right spots. He even had a go at tracing shapes and drawing faces. It is not often that you come across a Halloween-themed book. J did not have one in his collection. So this Halloween Sticker Activities book has filled that gap rather nicely. It has been a fun way to introduce him to the concept of Halloween without spooking him out! Disclaimer: We were sent a copy of the Halloween Sticker Activities book for the purpose of this review. All opinions are my own. What a lovely idea! Stickers are a MASSIVE hit in our house. I'll have to get hold of this - can't wait for Halloween, it's such fun! My children love Halloween and with the age gap between them this would be perfect for them to do together. Stickers + Halloween = Heaven for Ella! She's been going on about Halloween for about a month now and we're finally going to buy her costume today. I'm probably going to be sick of the sight of it by Halloween! looks great - we lvoe sticker books! Stickers are always great fun. My children would love this! I wish I was young enough to get away with being as excited as I am by stickers, I'd put them everywhere given the opportunity! 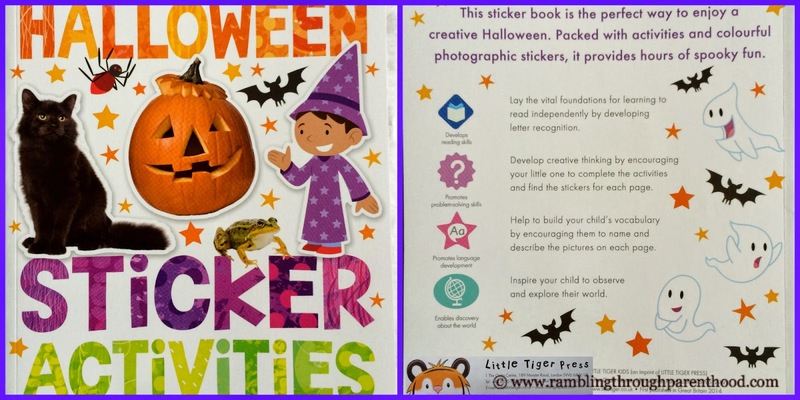 This looks great - my three absolutely love stickers and Halloween is our favourite time of year so this would be perfect!